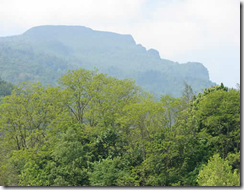 North Carolina will spend some $12 Million to buy Grandfather Mountain and some 2,600 surrounding acres. Owned since the 50’s by the Morton family, Hugh Morton was determined to keep the land from being over developed. Plans on how the park will be ran have not been finalized but Crae Morton will head a non-profit which will continue to do research on the mountain. This entry was posted on Monday, September 29th, 2008 at 10:46 pm and is filed under Business News. You can follow any responses to this entry through the RSS 2.0 feed. You can leave a response, or trackback from your own site.